Custom CMS Development Company | Web CMS Platform | KbizSoft Solutions Pvt. Ltd. Custom CMS Development – KbizSoft Solutions Pvt. Ltd.
WordPress CMS has become the most preferred and celebrated CMS platform around the globe for making easy to manage, secure and SEO friendly websites. WordPress perhaps is the only custom CMS development system streamlined according to the latest demands by launching timely updates. We are the best Joomla Development company in India. From responsive Joomla websites to e-commerce Joomla websites our experienced Joomla developers have expert experience in developing Joomla templates, components, and modules. 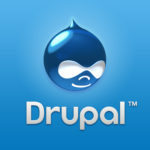 Drupal is a free open source content management system that offers top-notch security and scale. It’s used, built and supported by an active and diverse community of people around the world. As written in PHP, it’s an excellent platform to build the publish complex dynamic websites, online communities and publishing portals. As a Drupal Development company in India, Kbizsoft Solutions specialized in developing a secure, user-oriented, robust and scalable website. The eBay –owned open source internet business web application Magento is a standout amongst the most powerful and fastly developing web-based business stages the world over. With the online retail monsters like Nike, Gant, and Samsung as upbeat clients, and more than 5 million downloads as of now, nothing unexpected that 1 out of 4 of each new online store is selecting Magento as their web-based business accomplice. 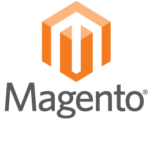 As a Magento E-commerce Development organization in India, we have propelled more than 30 Magento web-based business stores online for different enterprises the world over.